It is rare for a grandmother to go from being called affectionately “Mam Esther or Gogo (grandma)” to Dr. Mahlangu and barely schooled due to lack of educational options in her rural area at the time. 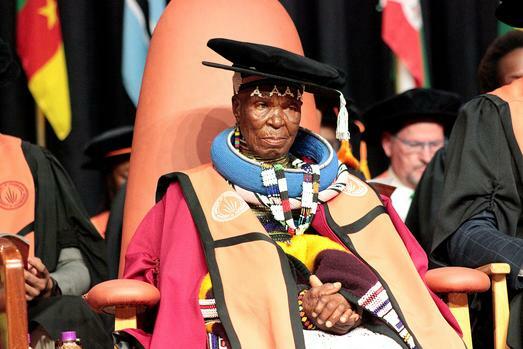 But this week saw the cultural warrior receiving her honorary doctorate. And it was indeed a colourful site to behold! 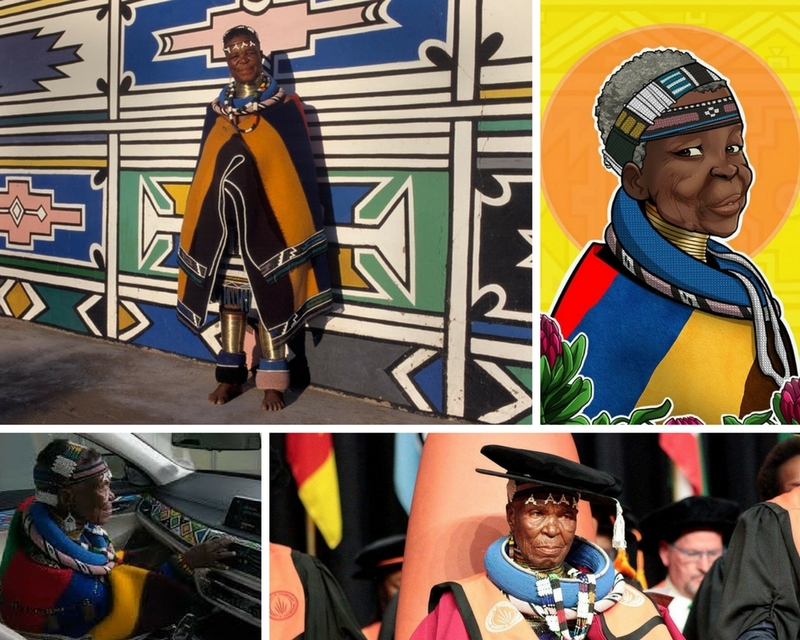 Esther Mahlangu was awarded an honorary doctorate at the University of Johannesburg. She made South Africa proud with her Ndebele art collaborations across the globe when she joined the league of artists in 1991 like Andy Warhol, Frank Stella and David Hockney with the BMW’s art cars unique signature style. Her “African Art Car” design on the BMW 525i became an icon, which she repeated in 2016 again with the BMW7 series. These Ndebele designs were also replicated for British Airways planes in 1997. Last year she teamed up with Grammy Award winning singer John Legend and Belvedere Red Vodka to raise funds and awareness around the Aids fight. She was also honoured with a mural in Tribeca, New York for a Citi Bike initiative. As one local newspaper said when she walked in with her “squad” of supporters and took her place amongst the graduates‚ it gave you “all the feels”. In her quiet way, she even had a fashion moment amongst the academics. Go Doctor!